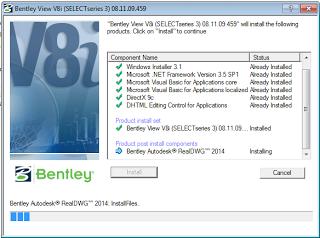 Open it in Bentley View and Print to PDF (tick the Print to 3D checkbox). Done. It is literally that easy. 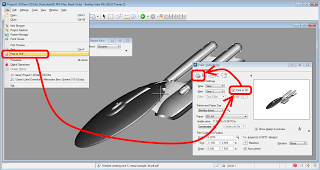 For a slightly different step by step method specifically for Revit, go to this page. 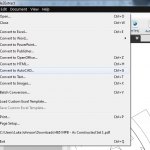 Note: for direct, simple and customizable 3D PDF creation capability from Revit, check out the Revit to 3D PDF link in the sidebar. The good thing about this process is that you capture any colour overrides that you applied in an exported Navisworks view. Keep in mind that you can also easily adjust the brightness of the 3D scene in Bentley View. 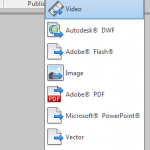 Also, did you know that Bentley View can open a Sketchup SKP file directly and print it to 3D PDF with ease? Personally, I think the most limiting factor in the use of 3D PDF for visualization is that it doesn’t support textures (as per the limitations of U3D format in the notes at the end of this post). Key updates are described at this link. 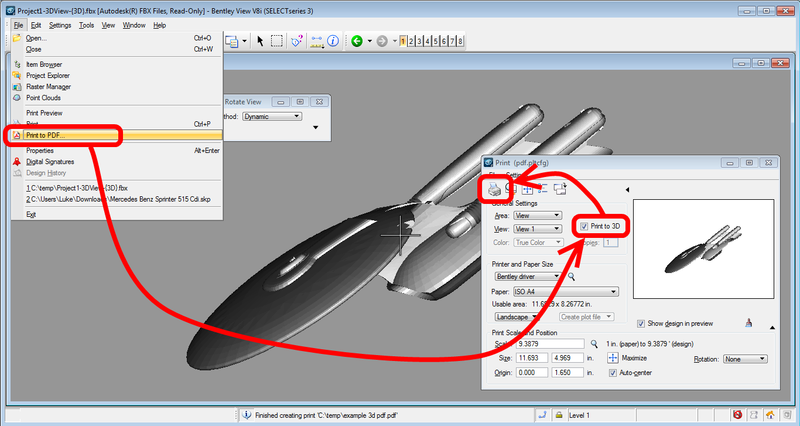 Ok, what if you are using an earlier version of Bentley View that can’t open FBX directly? Step 3 (opening the OBJ) took a long time, but it did work. 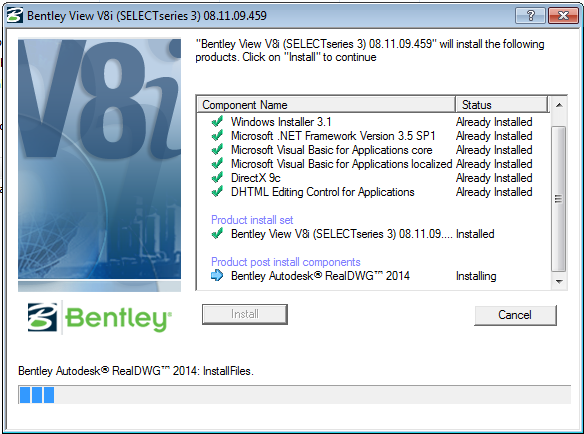 I performed this process with superseded Bentley View version 08.11.07.440 (downloaded in 2011). In Photoshop CS5 and CS6, 3D functionality was part of Photoshop Extended. All features in Photoshop Extended are part of Photoshop CC. Photoshop CC does not have a separate Extended offering. You need photoshop cs3 or later for 3d model importing. It will definitely import a .obj. 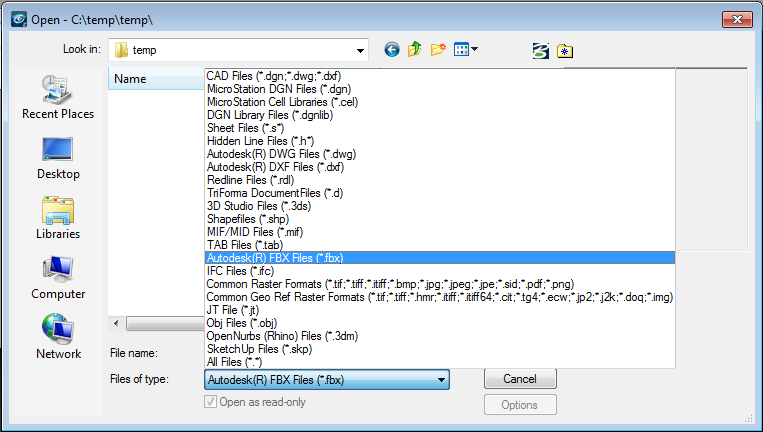 As mentioned you need acrobat pro or acrobat X to import u3d files to use in a pdf. If you do not have access to cs3 or later there are other alternatives for viewing models. 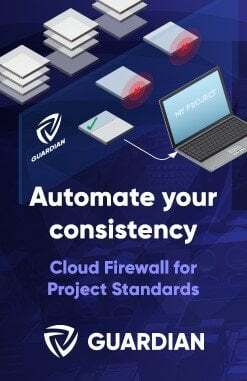 Do you specifically need to have a 3d pdf? If not you can download the .fbx plugin for quicktime, you can then export you scene or model as an fbx and open in quicktime and it will server a a 3d viewer. Thee are also numerous other obj viewers available on the net just look around. Wings 3d is a full modeling app that is free and very lite in size and should be able to open several types of 3d files. Next Next post: Have you tried the Beta Potential Energy Savings Widget? 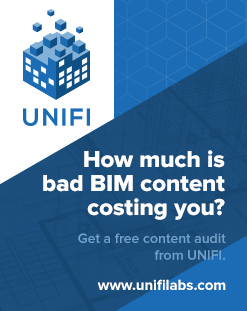 You may also consider checking the i-model plugin for Revit (by Bentley)…it may contain the material information as well, I'm not sure if it does to your requirements if you are using the FBX to 3D PDF solely for viz.